From the time their first lines were energized, Wisconsin’s electric cooperatives have enjoyed a strong relationship with the United States armed forces. Within four years of the Wisconsin Electric Cooperative Association’s founding in 1936, rural electrification was involved from top to bottom in rearming the United States military. Expansion of farm production was part of the larger defense program. The county agents administering federal agricultural programs told farmers to plant fence row to fence row in the spring of 1941 and raise all the grain, meat, and dairy products they could. The United States Department of Agriculture enlisted farm families across America in all-out war production through Food for Freedom. 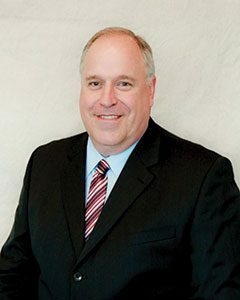 Increasing farm production meant greater demand for electricity, so Wisconsin Electric Cooperative Association member cooperatives stepped up to meet the demand. Jackson and Oakdale Electric Cooperatives had to deal with a lot more than increased demand from farmers. In the summer of 1940, the U.S. Army conducted maneuvers that brought 65,000 Army and National Guard soldiers to Fort McCoy, and the two neighboring cooperatives extended service to the camps that housed them. Even today Wisconsin’s electric cooperatives serve military installations including National Guard facilities, Coast Guard communication towers, and a bombing range, to mention just a few. Serve Our Co-ops; Serve our Country Earlier this year I wrote about America’s electric cooperatives beginning a new chapter in their long history of support for the military with the launch of Serve Our Co-ops; Serve Our Country, a nationwide initiative to honor and hire military veterans and their spouses. The program was developed to help electric cooperatives address a generational turnover in their workforce. Over the next five years, the National Rural Electric Cooperative Association estimates electric co-ops will need to hire approximately 15,000 new employees to succeed retiring baby boomers. Those new workers will fill roles in every department, from lineworkers climbing poles to member service representatives answering questions to engineering and IT experts designing and managing a smarter electric grid. In addition to the technical skills these jobs require, electric cooperative employees must be hard-working, disciplined, loyal, safety-conscious, and team-oriented—qualities that are common among military veterans. On May 13, 1938, Congress made the 11th of November a holiday—Armistice Day—a day dedicated to the cause of world peace and to be celebrated thereafter. Armistice Day marked the anniversary of the end of World War I 20 years earlier, when major hostilities were formally ended at the 11th hour of the 11th day of the 11th month of 1918, as the Armistice with Germany took effect. Armistice Day was primarily a day set aside to honor veterans of World War I, but in 1954 Congress amended the Act by striking out the word “Armistice” and inserting in its place the word “Veterans.” With the approval of this legislation, November 11 became a day to honor American veterans of all wars. It is our chance as individuals to say thank you to the men and women who have kept America strong and free. Serve Our Co-ops; Serve our Country is another way America’s electric cooperatives are showing concern for community while building a next-generation workforce that will deliver the exceptional service co-op members expect and deserve. It’s also a way of saying thank you to returning veterans this Veterans Day. I just want to say thank you to all the men and women who have served their country, and a very special thank you to all those citizen soldiers who are still serving today. 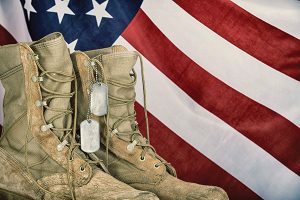 Here in Wisconsin, veterans can learn about their benefits and other information from the Wisconsin Department of Veterans Affairs at WisVets.com.